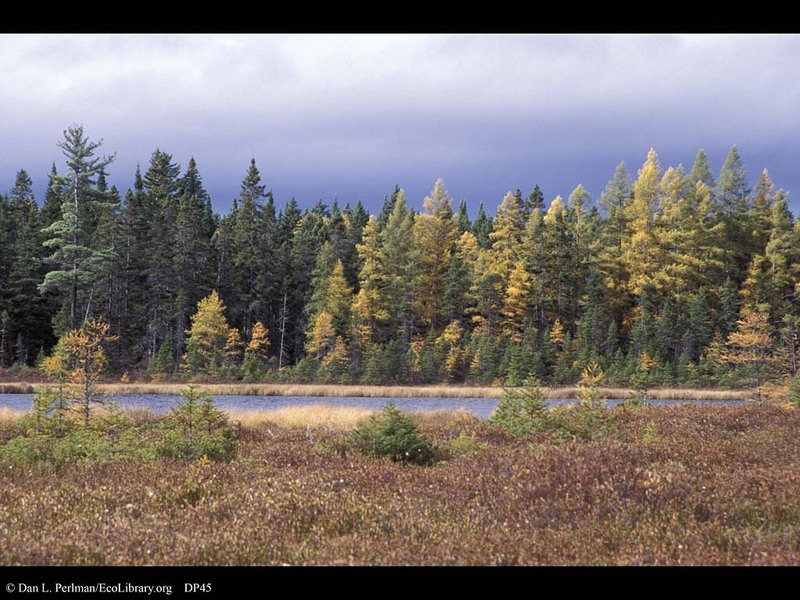 Bog and boreal forest, Vermont. The bogs of the north country are glacial relicts from the last ice age. These bogs are cold and highly acidic, so that only a few well adapted plant species can survive. Most notable of these plants is the sphagnum moss which forms a large floating mat around the open water. With time, the moss thickens and spreads. Dead plant matter that sloughs off of the mat and falls to the bottom of the bog decays very slowly, as the conditions are inimical for bacterial decomposition. The bog slowly closes in on the water, eventually filling in, and becoming forested.